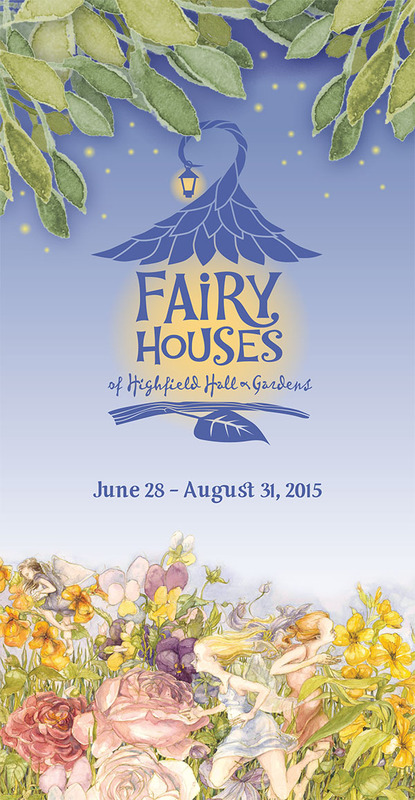 This year’s Fairy Houses of Highfield Hall exhibit is larger than the 2013 show and it will be on display longer, too. The houses are holding up quite well and we’re confidant that most structures will stay intact until the closing on August 31st.There have been some instances of eroding moss and hot glue not holding parts together well enough, which backs up my personal bias against glue guns! 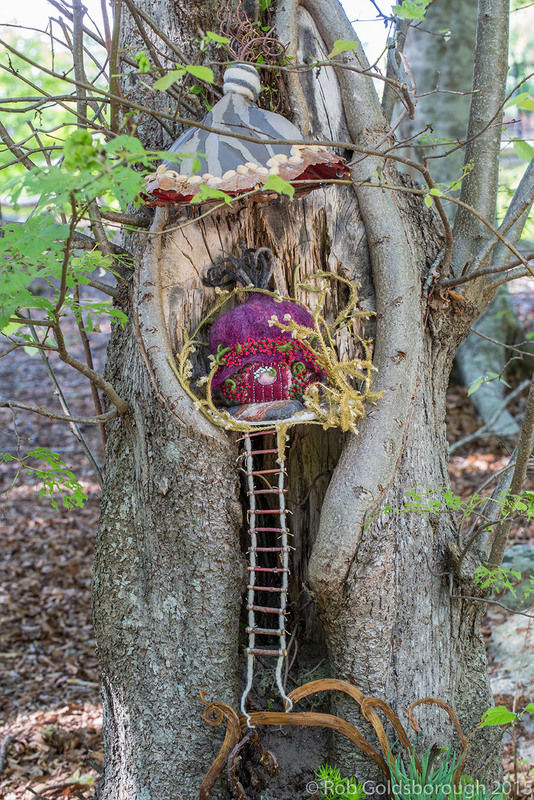 But, the fairies have made repairs and are doing their best to keep up the neighborhood. 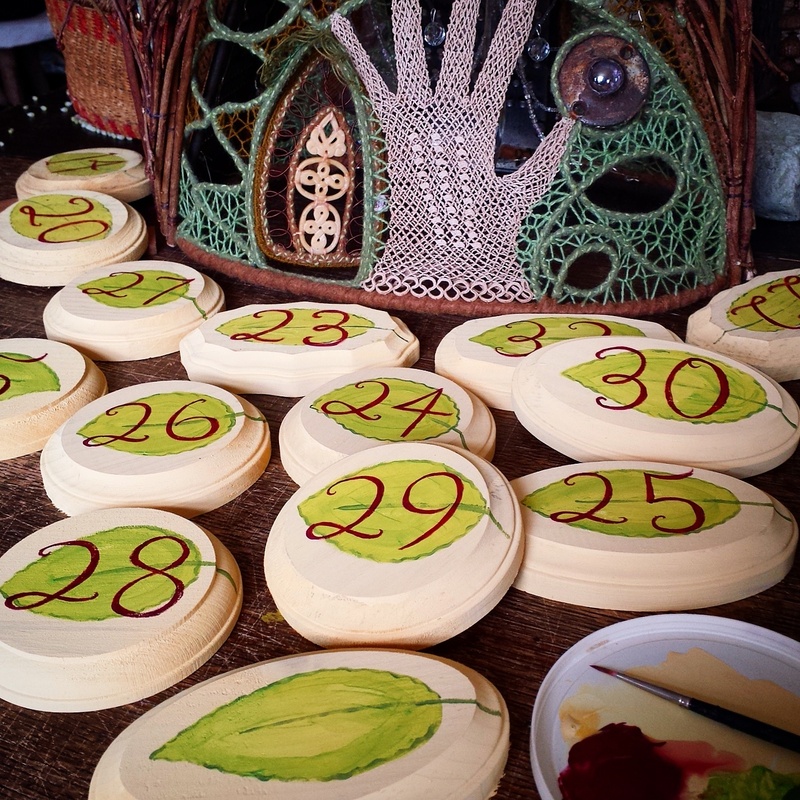 Each fairy house has a number, so visitors can identify the 32 locations around the Highfield property. Maps, with a list of house names and their makers are available inside during open hours. I hope that more of you can come see the show during its last month. A printable pdf file of the map is here. Highfield Hall Open Hours: Mondays – Fridays, 10:00 am – 4:00 pm Saturdays & Sundays, 10:00 am – 2:00 pm. 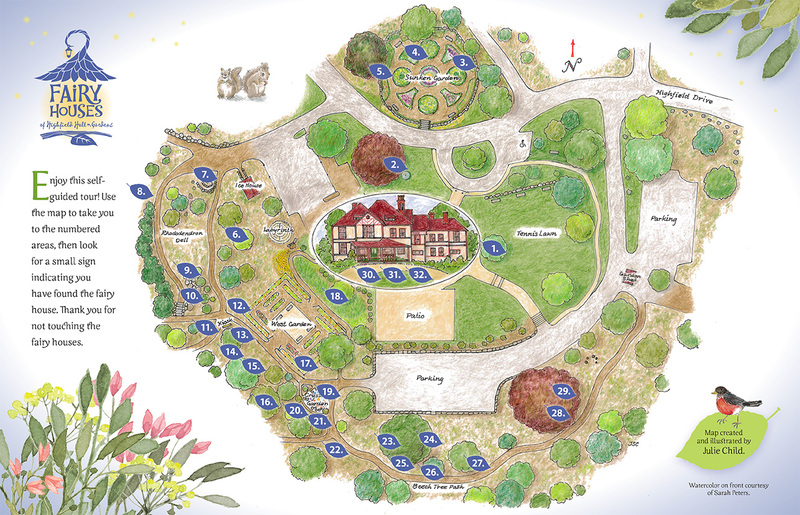 Grounds are accessible from dawn to dusk, except during private functions For this year’s collection, I painted 10 more markers to make a total of 32. Earlier this summer, I took pictures of some house builders setting up their creations. 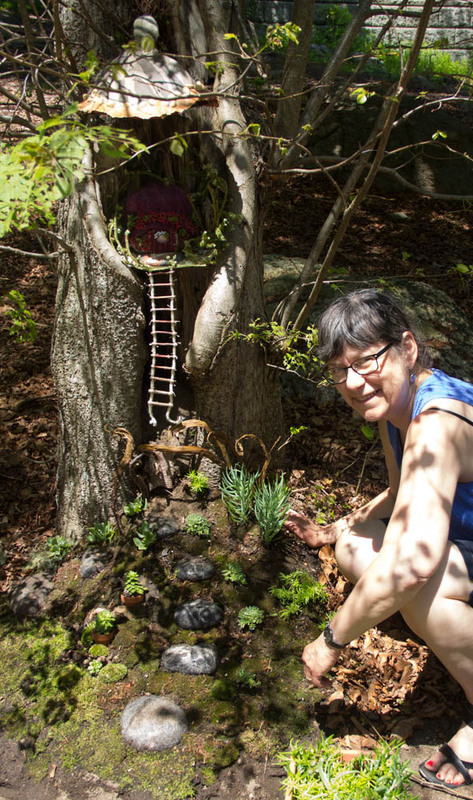 Cynthia Rose’s house is surrounded by a growing landscape. 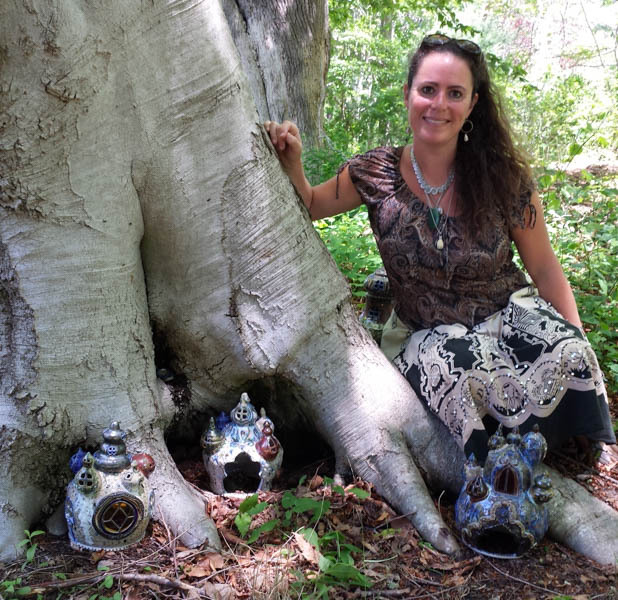 Kim Sheerin’s ceramic houses have stained glass windows, with lights flickering inside. 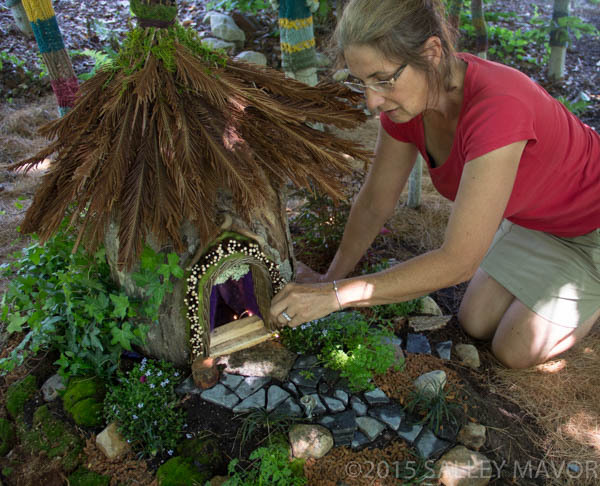 Nicole St. Pierre felted her house and devised a paper canopy roof. She also planted miniature succulents around the base. 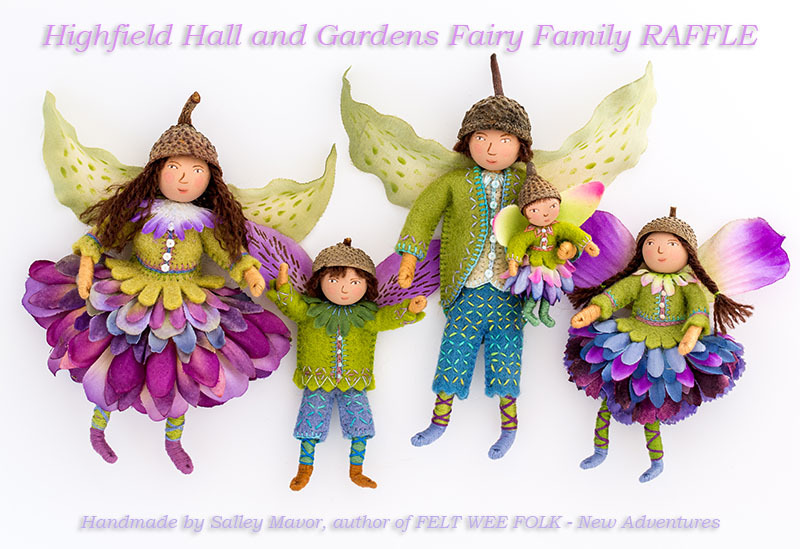 The fairy family raffle for the benefit of Highfield Hall will continue until August 30th, so there’s still a chance to win! You can buy 3 tickets for $5.00 online here. 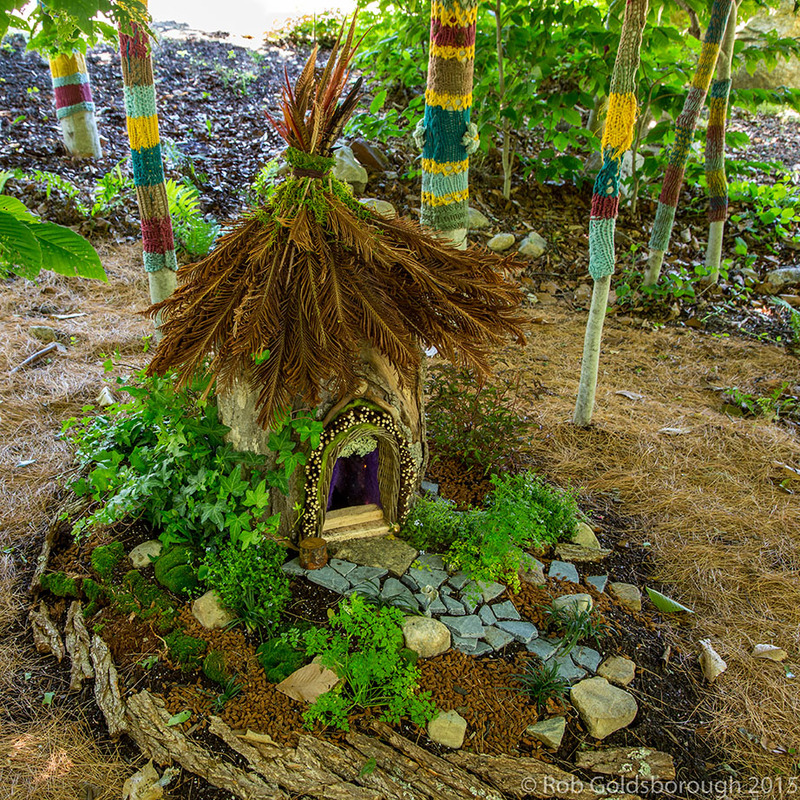 This entry was posted in Events, Exhibits, Fairies, Fairy House of Highfield Hall, Fairy Houses by Salley Mavor. Bookmark the permalink.